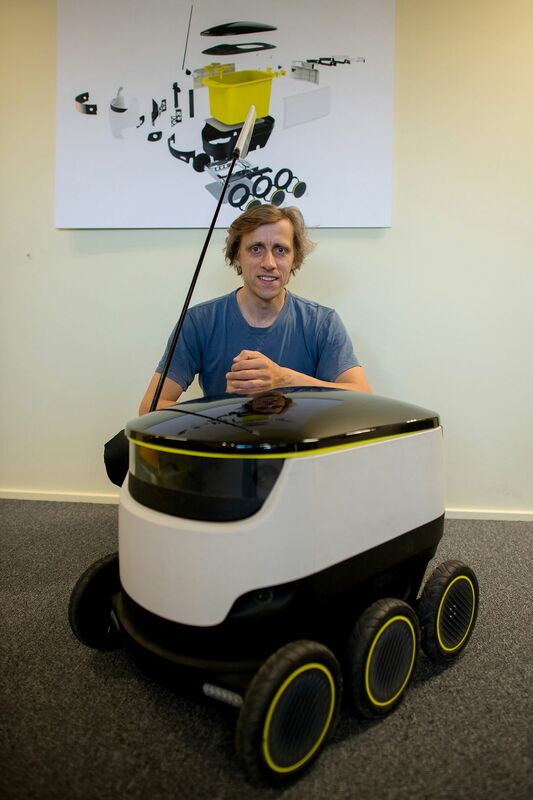 Droids are future for deliveries ""
As e-commerce has accelerated to become a major component of our lives, companies are competing stronger than ever before to make their deliveries as quickly as possible, and with maximum efficiency. Amazon’s initiatives have led the charge for the majority of consumers, with their Prime service providing free two-day shipping, and Fresh providing similar efficient grocery service for a price. Always looking for the next breakthrough, drone deliveries generated a lot of buzz over the last few years. By taking to the skies, the idea is to make quick shipping even more efficient on the local level. Many companies seem to agree, as drones have been used by Amazon, Google, and Wal-Mart. However, there is a new initiative that is looking to improve on this concept: droids over drones. With flashbacks to BB-8 from Star Wars, these ground oriented delivery robots have a number of advantages over their airborne brethren. They are better equipped to handle weather issues, such as rain and snow. They’re also better able to protect their cargo. A battery charge lasts much longer for a droid as well, which increases efficiency by minimizing charging time. It’s also interesting to note that because droids only travel on sidewalks, they don’t need to deal with the hazards and traffic a truck would experience on roads. We’re obviously a few years away until such droids become an efficient, affordable reality for consumers. But it’s not farfetched to think we’ll see droids walking by us making deliveries as a normal part of everyday life in the not so distant future.